Do you go for it and DIY the whole thing or get someone in to do it for you? Both definitely have their merits. If you choose to DIY your chuppah then I’d suggest doing a bit of research before you plan it all out. 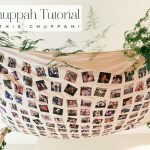 Read blogs like this DIY chuppah tutorial and this how to build a chuppah tutorial to get ideas of how you can start. If you struggle on the craft skills front, then it is also great to watch YouTube videos about how to do all the little bits you aren’t sure about. You can also find loads of fun hacks to replace the skills you may not have — think a glue gun or stapler if you aren’t that keen on using a sewing machine! Another ‘hack’ of sorts… use all your talented friends and family to help! I am only too happy to help my friends who are getting married and need a bit of hands on support… if I have a skill they can utilise to help turn their dream day into reality then I will happily go out of my way to help, and I am sure your friends and family would love to help you too! If you know someone who is a dab hand with a sewing machine, then pop round to their house (so they don’t have to schlep their sewing machine!) and work on it together — you may leave with a new skill! However, I know not all of you want to be spending the build-up traipsing around looking for the right materials and would much rather leave the planning, prep and building to someone else. 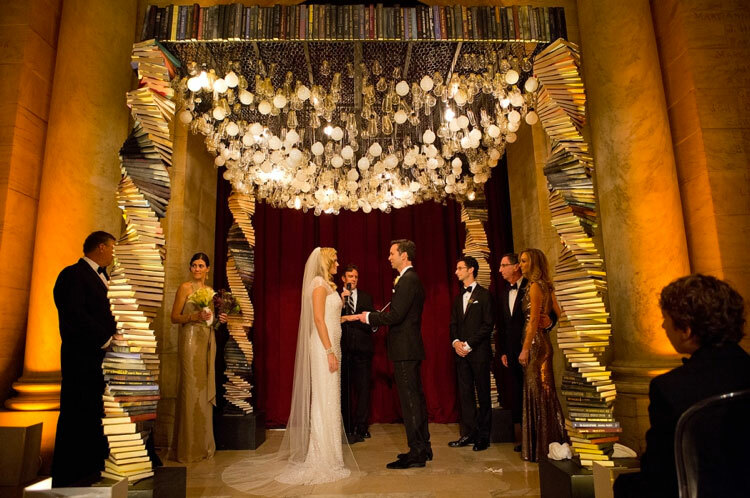 You also may have an idea for your chuppah which is, perhaps, a bit too dramatic or large for you to DIY. If this is the case, then there are still so many options for you and you can still make sure it is incredibly personal to you both. There are several rental companies out there that can offer basic structures with a quick and easy order and delivery process. However, for that personal touch your florist could be your first port of call if you are after a floral look. 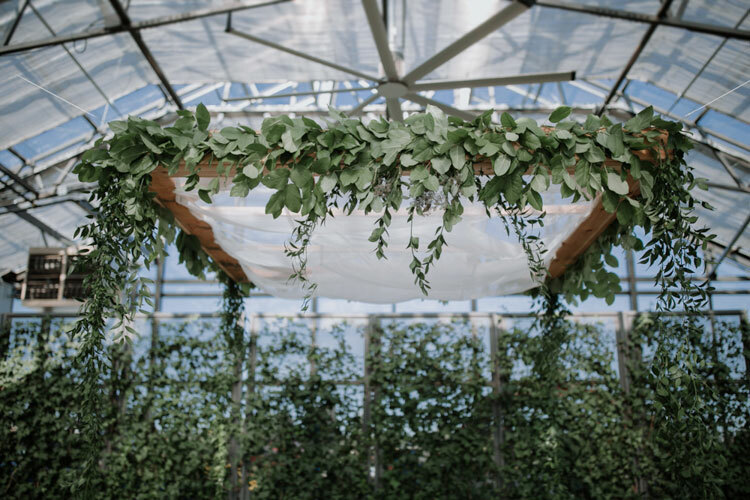 They may already be working with you to produce your dream floral designs for your day, so why not work with them on bringing those ideas to your chuppah? 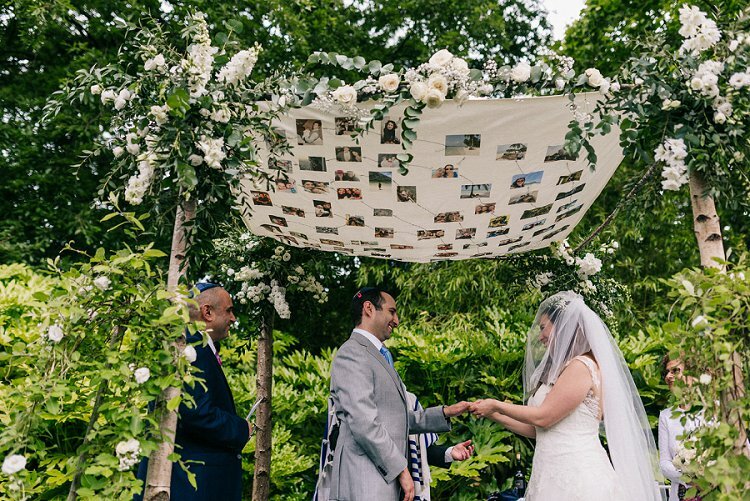 If you are wanting to go one step on down the personalised route then it would be worth talking to a design company (like mine — The Chuppah Design Co) who can work with you to design and create your dream chuppah. You tell them your ideas and they will help you turn them into reality or just do it for you! What size does the Chuppah need to be? 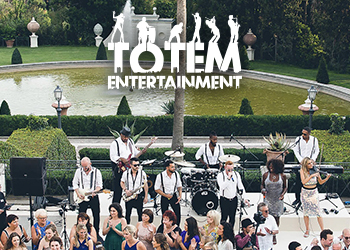 Well there is no simple answer, it is really a matter of the size of your venue, the number of people you want to stand under the chuppah with you and the style you are going for. Traditionally the size of the chuppah would have been determined by the size of the tallit being used, but you are at liberty to use whatever material in whatever size you want. A tallit doesn’t always come in a perfect square size either (trust me I’ve tried!). You can get very a large square chuppah tallit, but in my opinion, they are not always the most attractive. So I’d recommend deciding roughly what size you want before you move forward with thinking about the materials you are going to use. To have the two of you and the officiant under the chuppah, you’d be looking at something that is around 1.5 metres x 1.5 metres. When thinking about the height, its best to consider how tall the tallest person under the chuppah will be. I’d say 2 metres is a good minimum, but if you have anyone close to 6ft and you have a tall ceiling or open-air venue, then you may want to consider something taller. Do a good scout out of your venue with a tape measure and some masking tape. If you are still unsure, head outside to some open space and mark it out on the floor and work out how many chairs you can get inside the space you have marked (a chair is a good representative for a person!). Can you fit all the chairs (people) in that space as you want? The other very important thing to consider and will definitely affect the sizing — are you going to have a traditional hand-held chuppah that is held by family or friends? 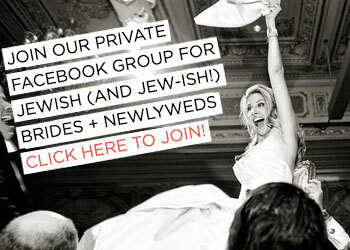 Or are you going to have a static free standing chuppah? Both are beautiful and can create a different feel to your day. 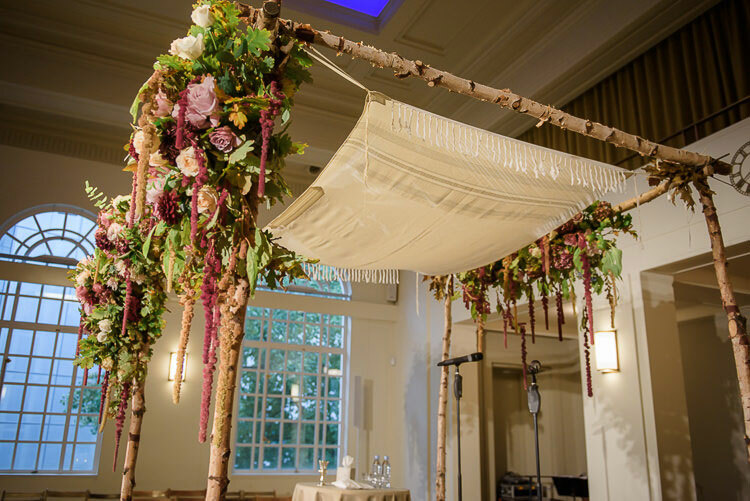 There are a few things to consider if you do go for a hand held chuppah. Make sure it isn’t too heavy! We made this mistake straight away at our wedding. 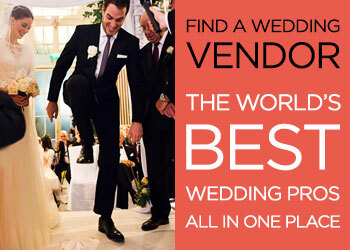 I wanted a hand held chuppah and ordered some beautiful birch poles. They arrived, and they were SO heavy! There was no way I could ask someone to hold those up for a minimum of 45 minutes! So, we adapted and made it a static structure (which worked perfectly in the end!). With this in mind, consider the type of poles you use and their height if you are wanting people to stand with them. If you are going for something like birch poles or bamboo, generally the thinner the pole the lighter it will be. But if you are going static the biggest thing to think about is how to make it stand up — look back at this post with my easy to put together idea for a free standing structure if you are planning to DIY. What materials do you want and where can you get them? 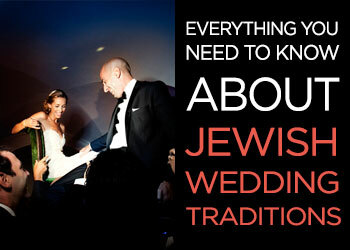 This is when you can start getting down to the details if you are DIYing your chuppah. I like to start with a bit of a google search to see if there is anywhere local to me to find the key bits I needs (like the posts or any special fabrics I have in mind). 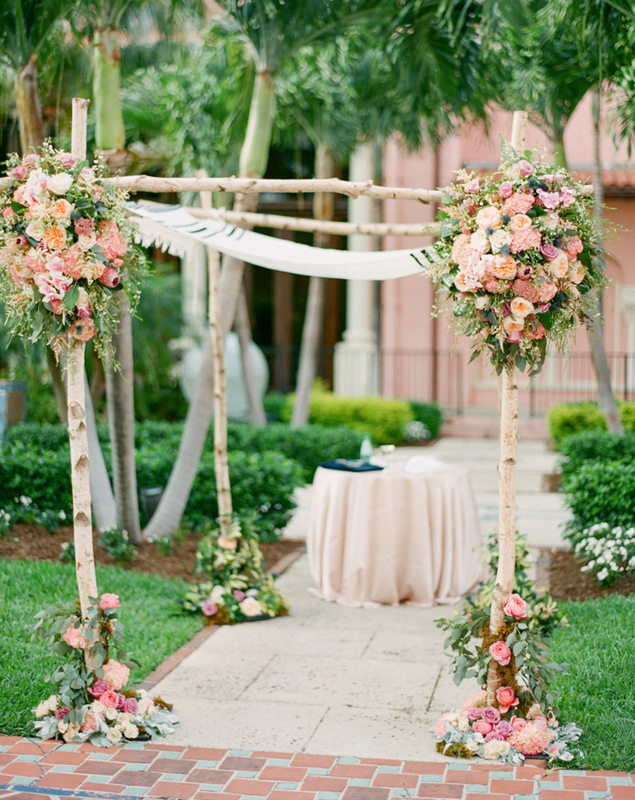 Good materials for the poles are often birch poles (great for a rustic and outdoorsy style), metal poles like copper piping (perfect for a more luxe style wedding) or bamboo (lovely for a tropical style). When it comes to the canopy covering the structure… well there are SO many options depending on your chosen style. Generally heavier closer weave fabrics look better for the rustic look and great if you are adding elements to the canopy. Lighter fabrics will look floatier are more romantic. It is also great to recycle old materials (perhaps an old family wedding dress?!) or create a patch work of materials from old camp t-shirts or pieces of fabric that your guests have decorated for you. Good places to source fabric are market stalls and Dunelm, there are also loads of small businesses who sell fabrics in a huge array of designs online on places like Etsy. 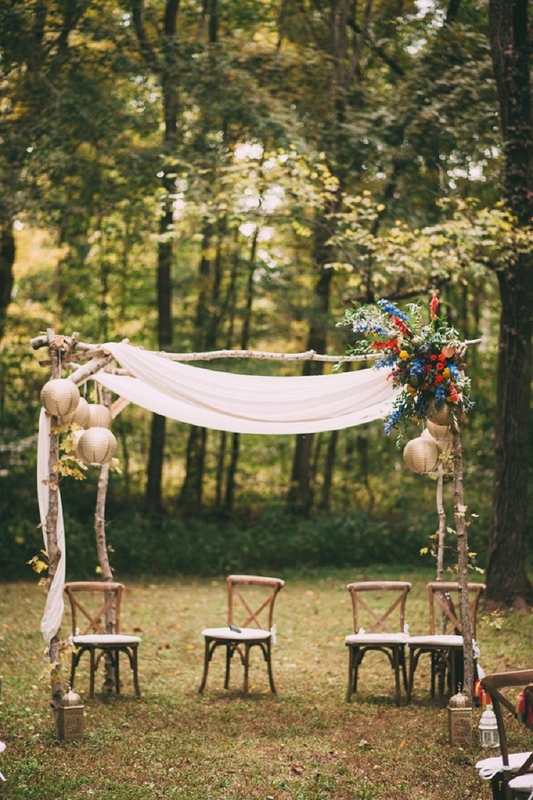 You may also choose to add additional decorations to your chuppah. This is a great time to bring in your florist who can add some floral delights. 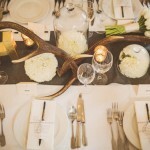 Your rental or design company can work together to make sure it all comes together on the day. Alternatively, you could go flower-less and think about adding paper flowers or pin wheels, origami cranes or hearts (in Chinese tradition if you fold 1000 cranes then your greatest wish will come true!). 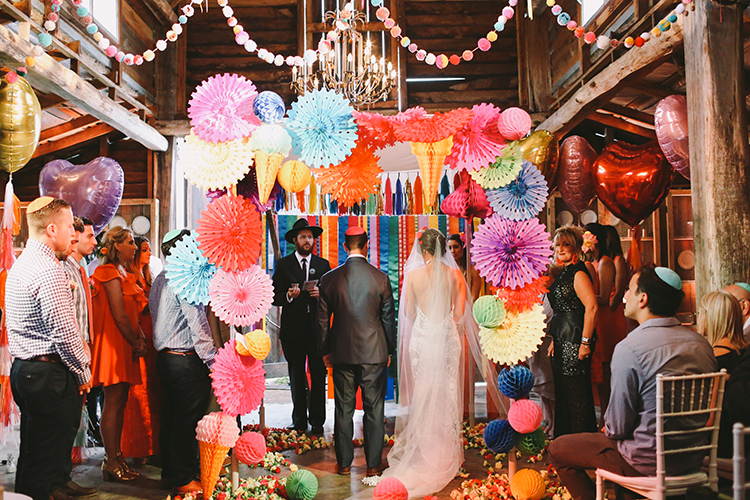 Or how about a load of pompoms in the colour scheme of your wedding (please be in touch with me if you want a pompom chuppah — I’d love to make one!). The only limiting factor here is your imagination… you can go all out! 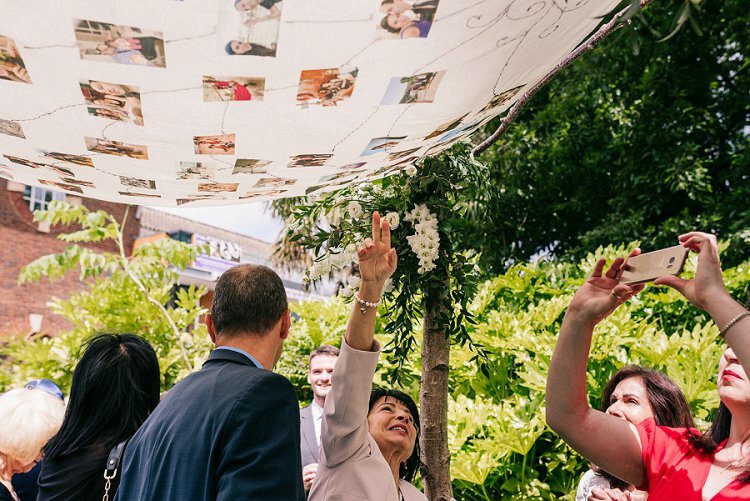 The most important part of preparing your chuppah – plan, plan and plan some more! If you are DIYing, then make sure you set aside plenty of time to make everything you need… no one wants to be making paper flowers the night before their wedding! It does take time, but if you start planning and making it as early as possible, then you will take away a lot of stress in the build-up. Measure everything really carefully too! There is that old proverb, “measure twice, cut once” and it is SO true! If you are able to get into your venue the day before, then that is a bonus, but don’t bank on it. I know venues can often charge for early access and providing you have planned for the lack of early access there will be no major problems. Ahead of time make sure that the groom and/ or groomsmen or friends who are helping to construct it on the day, know exactly how they are going to do it before the ceremony. If possible, do a test run together so they can iron out any problems before the day. If you are the bride, you will not be constructing a chuppah on the morning of your wedding!! So, make sure everyone knows what they need to do ahead of time so you can relax and get ready for your day. 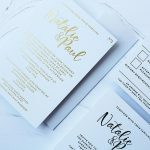 Plan, plan and plan so that when you walk down the aisle you get the wow moment as much as your guests did when they first walked into the room! 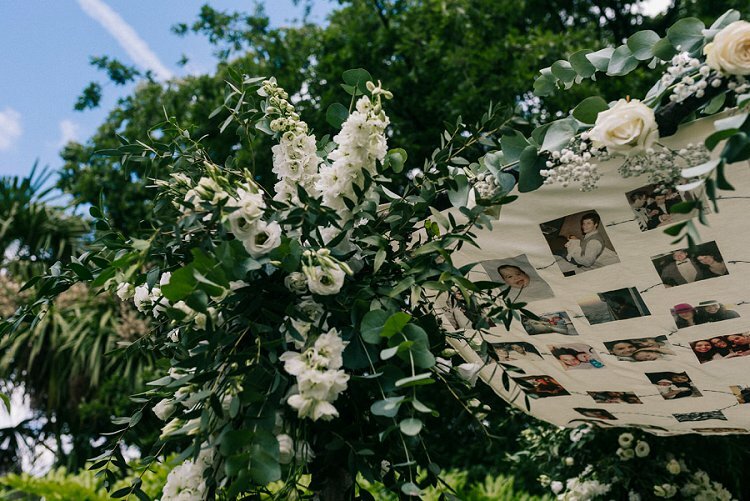 Lauren Dubell-Beadle is a London based crafter and founder of The Chuppah Design Co. After hand making much of her own Jew-ish wedding to John, she became committed to helping engaged couples turn their wedding dreams into reality. After university, where Lauren studied Arts Education, she spent many years working within the Jewish community. 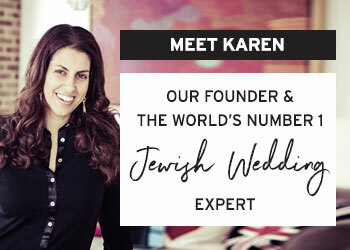 Later she trained as a secondary school drama teacher and left the profession last year to concentrate on building The Chuppah Design Co.